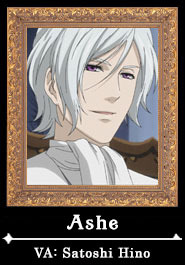 The current head of the Phantomhive family. Despite the young age of 12 years old, Ciel has made the Funtom Corporation Great Britain’s number one sweets and toy manufacturer within a mere three years. An extremely talented butler who not only performs his everyday duties, but executes his master’s order with effortless perfection. The word “flawless” seems to have been made for him. 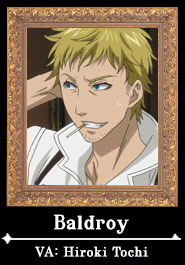 Nickname: Baldo. 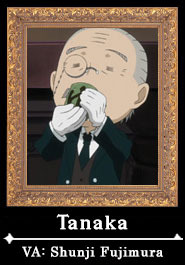 The Phantomhive household chef. However, his cooking is always burned to a crisp and he hasn’t made one decent meal yet. 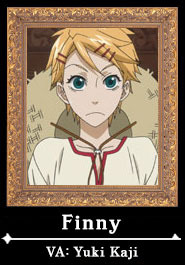 Nickname: Finny. 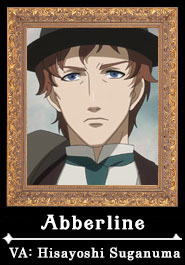 The Phantomhive household gardener. 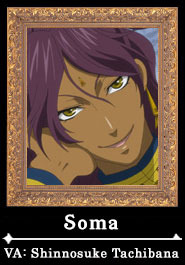 Finny is cheerful and friendly and possesses superhuman strength. He may be the gardener, but he ends up ruining all of the trees in the garden. 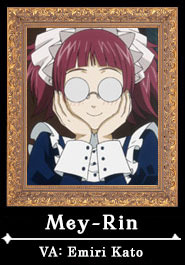 The Phantomhive household maid. An extreme klutz who wears glasses. She is extremely farsighted. She speaks with a very distinct accent. 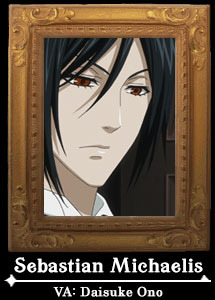 The Phantomhive household steward. 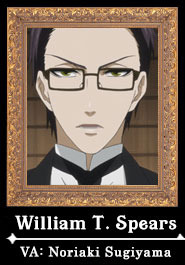 Employed by the Phantomhive family ever since Ciel’s father was the head. He turns into a realistic form from time to time. 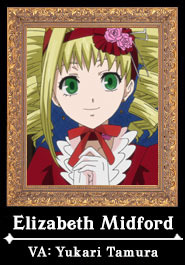 Full name: Elizabeth Ethel Cordelia Midford. Nickname: Lizzie. 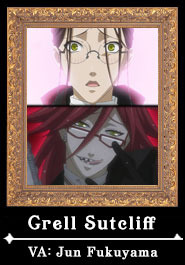 Ciel’s cousin and fiancée. 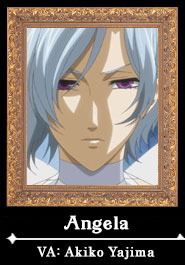 Real name: Angelina Dalles. 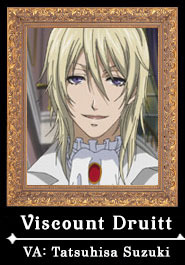 Ciel’s maternal aunt. 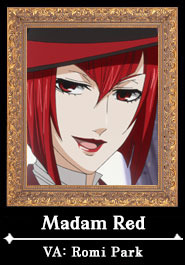 Nicknamed Madam Red for her beautiful red hair and fondness for the color red. Butler to Angelina Dalles (a.k.a. Madam Red). 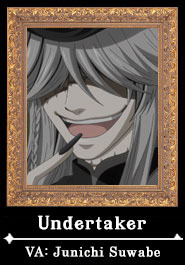 His true identity is a Grim Reaper that harvests the souls of the dead. Branch manager of the trading company “Kong-Rong,” but he is actually one of the top officials for the Shanghai mafia, Qing Bang, and he is well versed in the underworld. 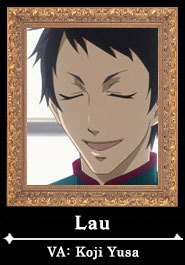 Lau’s non-blood-related younger sister who is always at his side. 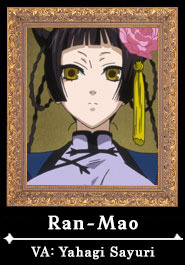 Ran-Mao is reserved and never shows emotion, but she is a beautiful girl who looks great in a Chinese dress. Real name: Aleistor Chamber. Arrested for kidnapping and human trafficking, but released using the power of money. Possesses a unique aesthetic sense. A Grim Reaper, part of the Management Division of the Grim Reaper Dispatch. He emerges to retrieve Grell. He has a calm, cool, and collected bearing, but is strict when it comes to rule infractions. Former maid at Barrymore Manor in the village of Houndsworth. Her true identity is an angel who despises impure things. A demon hound that was raised secretly in Houndsworth. 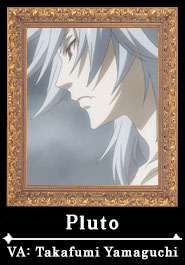 Transforms into a silver haired young man whenever he gets excited. Can breathe fire. Police commissioner of Scotland Yard (London’s Metropolitan Police Service). 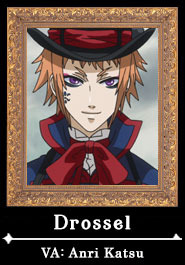 He runs into Ciel and his group every time there is an investigation of a strange case. 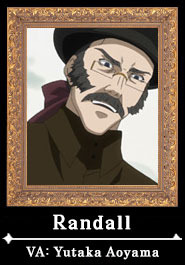 Scotland Yard inspector, Commissioner Randall’s subordinate. 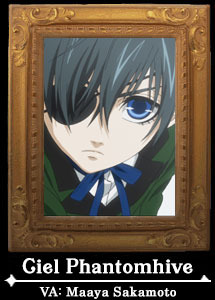 Concerned about young Ciel. A doll that has lost its soul. Under someone’s control. The 26th Prince of Bengal. 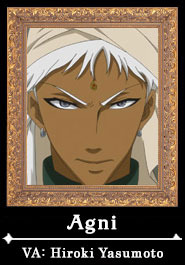 An Indian prince who travels to Britain to take his wet nurse back home after she was kidnapped by an Englishman. 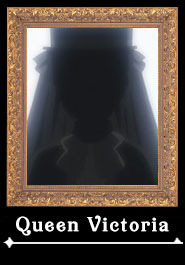 The monarch of the British Empire.